Britain’s automotive sector risks losing thousands of jobs and hundreds of millions of pounds of inward investment if government proceeds with a hard Brexit. These stark warnings are from a Business, Energy and Industrial Strategy (BEIS) select committee report that predicts non-tariff barriers – border delays and increased bureaucracy – are also likely to harm UK competitiveness. 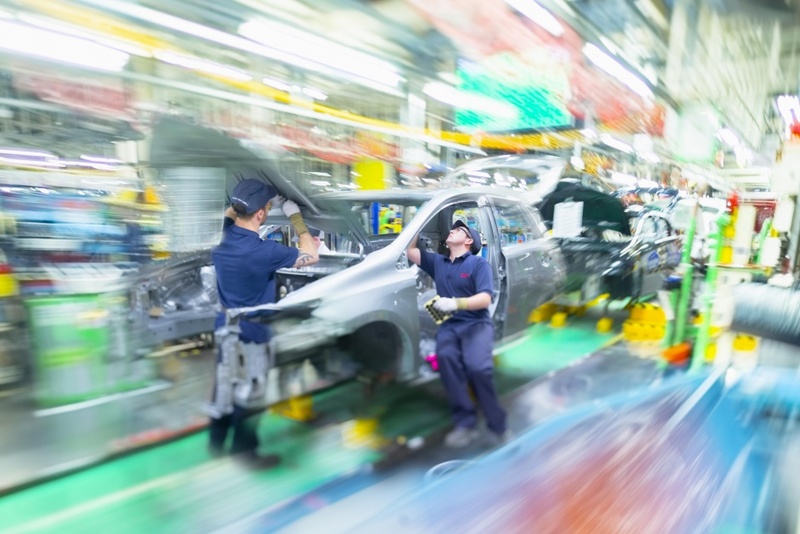 Titled The impact of Brexit on the Automotive Sector, the report recommends that government ‘places a high premium’ in its Brexit negotiations on securing frictionless trade for Britain’s volume automotive manufacturers. Rachel Reeves MP, chair of the BEIS committee, said: “Innovative and efficient car plants across the country provide thousands of jobs and the automotive sector is a major contributor to our economic growth. There is no credible argument to suggest there are advantages to be gained from Brexit for the UK car industry. Britain’s automotive industry is largely export-led with Europe as the primary market. The industry is also one of the most closely integrated sectors with the EU. The UK automotive sector’s success is built on the complex supply chains that stretch throughout Europe with parts transferred through different countries before being assembled into the final product. According to trade union Unite, 1,100 lorries with automotive parts arrive from the EU on a daily basis. Many automotive companies operate a just-in-time operation with assembly sites storing just 20 minutes of materials. The report looked at potential post-Brexit opportunities and concluded that bilateral trade deals were unlikely to lead to a significant increase in investment and jobs in the UK automotive sector. The report recommends that government preserve existing arrangements for the certification of vehicles throughout the EU, either as part of a Mutual Recognition Agreement or some alternative arrangement. To maximise trade opportunities with the EU and to provide certainty to global manufacturers, the government should aim also to retain regulatory alignment with the EU regulatory framework for the short to medium term. The report follows an announcement yesterday (February 28, 2018) that Toyota will produce the third generation Auris model at its Burnaston plant in Derbyshire. According to the Society of Motor Manufacturers and Traders (SMMT), the introduction of trade barriers will result in a £4.5bn drop in exports. When we export things anywhere what we produce invariably has to meet whatever standards are in vogue in the destination territory. Exporting EU spec vehicles (or other goods) will be no more than the norm. It does not mean that those specifications have to be imposed on our consumers, though obviously quantities of scale may mean that is the case. It just means that the production runs will have to accommodate a range of different components as they do now. While this is an argument in support of (or rather not against) hard brexit, the downside is that we will not be in a position to influence future EU standards, which if that remains as our biggest customer could be a problem. In any event it will take time to grow alternative markets following brexit during which we will lose out, probably permanently. Just because we were in the EU did not mean we didn’t trade with other jurisdictions! But we did trade with many of them according to favourable trade agreements negotiated by the EU. And while we did (and currently do) trade with them once we leave we wil need to negotiate our own agreements. We haven’t started that with the EU yet, let alone the other 140 or so other countries around the world. There is no guarantee that we will continue to trade on the same basis as before! The Brexit referendum was undertaken without being fully informed and based on emotion! Collectively the 27 were and are a bigger market than the 140! Can we all get the background clear. The entire Brexit farce was its roots in a wish by one political party (the one that sadly has been in power for most of the past century?) to retain its hand in the political, financial and social ’till’ of our nation. because they believe that they alone have the Right? and ability to govern. That might even have been the case whilst most of the then population did not even have a vote: let alone any opportunity to exercise it? Now, in the present Century of Science, Engineering and technology…laughable. I have never believed that only one ‘side’ of the political spectrum has all the answers: nor that the once every five-years conn-trick played by those in real power, to elect a jury of purchased persuasion… represents democracy. Nor that there will ever be ‘peace’ within industry and commerce whilst it has two ‘sides’ -them and us! The economic argument has no effect because the reasons why people want to do this are different. It’s like trying to convince a friend not to get involved with a married person – it doesn’t matter how unlikely it is to turn out well because something else about it is so appealing to them and completely trumps their common sense. 99.9% of tariffs are applied to finished goods not individual parts, thus in reality the only issue in supply chains will be customs clearance. Within the customs union supply of parts isn’t instantaneous and we all factor in a logistics timeframe of for example of 7 days. Therefore how difficult can it be to just add another 7 days to this timeframe & have an order process based on say 14 rather than 7 days? I expect the key words Innovate and Prosper are the real issue. As long as the UK stay ahead of the game they will still keep the manufacture and assembly of motor vehicles. The real disruptor will be when the motor companies move to the manufacture of electric vehicles. Especially electric only vehicles, with electric motors being much simpler, and no exhaust system, no cooling system, no hydraulic braking system, ( replaced by electric braking system ) and the different systems attached to the internal combustion engine for performance and pollution reduction purposes. The tables are turning on the diesel motors, being banded and petrol motors not far behind due to pollution requirements.